3 microphone and 2 auxiliary inputs; 1 aux out. Separate bass and treble tone controls. 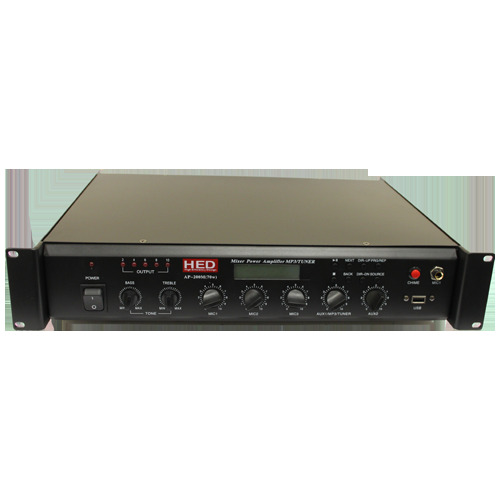 MIC1 takes priority over and mutes all other inputs. The mute may be adjusted with the "MUTE" sensitivity control knob on the rear panel. The factory setting is -30dB.